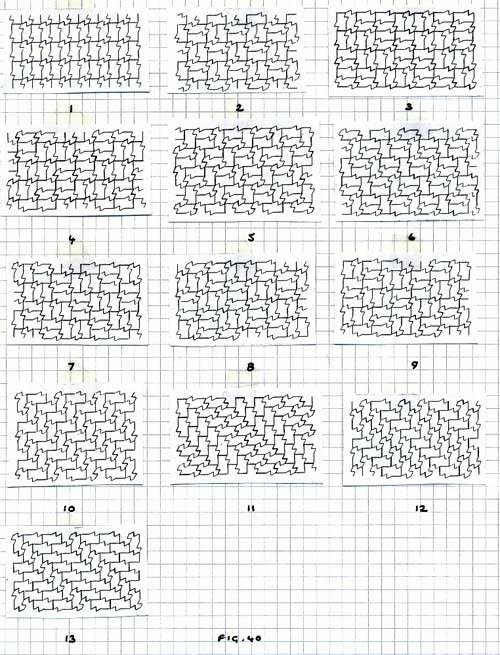 Although I am primarily interested in composing 'representational' tessellations, on occasions I do indeed turn my attention purely to the mathematical aspect, and amongst my interests are tessellations that in everyday terms can be described as having multiple 'stacking possibilities', of which such examples are known generally as hypermorphic or for distinct sets dimorphic, trimorphic... as appropriate. 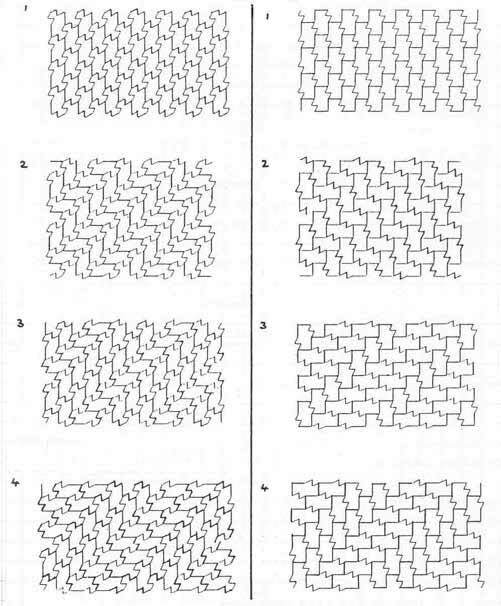 The examples following, of two distinct tiles, can be seen to stack in a number of ways, both singly and in combination, as shown below by No.1 and No. 2 respectively.